What I love about this lip balm is that it can be worn day or night. Use it as a lip treatment while you sleep, or wear it to school or work in place of (or underneath) a lipstick or gloss. The baby-pink tone flatters nearly every skin tone, and can be subtle or more intense depending on how much you apply. The rose scent is pretty (not overpowering), the formula has SPF 10, and the packaging is chic and durable. A little more expensive than your typical Chapstick, this balm is definitely worth the splurge (around $29.00). This is one of the best liquid liners I’ve ever used. It provides rich, pigmented colour, a smooth application (no tugging), and has a tip that makes it easy to create both thick, thin, and cat-eye style lines (with a marker-style tip). The waterproof formula ensures it stays in place throughout the day, but yet still washes off easily at night. For about 6 months, I was on the hunt for a pair of leather shoes that have leather insoles. I was close to giving up, when I came across these pumps at Sears. An extremely reasonable price for an all-leather shoe ($59.99), I picked up both the matte and patent black. I was prepared to be uncomfortable the first day (as most leather shoes need time to stretch), but was surprised to find that they fit perfectly right from the start; no blisters, irritations, or soreness. After about 2 weeks of wearing them, they still fit like a glove. I also love that they are the perfect height. They are tall enough to lengthen your legs (3.5 inches), but the platform makes them easy to walk in and adds extra comfort (the leather insoles are also cushioned). Depending on the season, these shoes come in different colours (currently, I’m lusting over the “Cognac” pair). I was lucky enough to find last season’s pairs in blue and beige, and got them for $23.00! 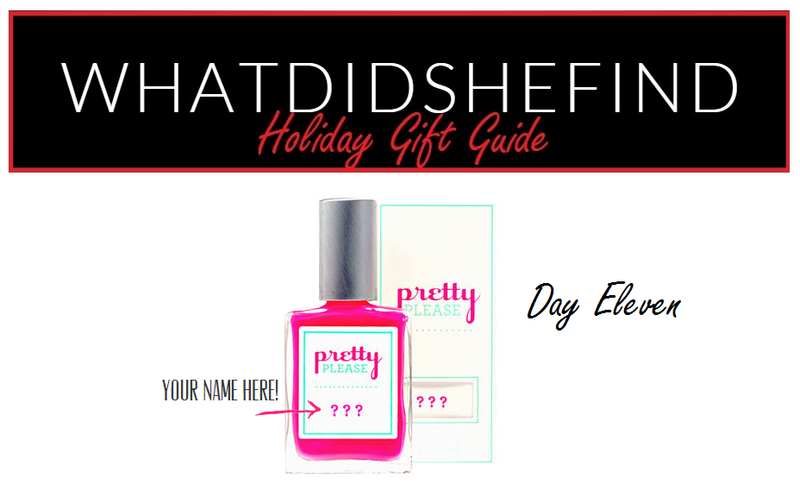 This lip gloss is creamy, shiny, and is the perfect pink tone. It has a temporary plumping effect (with a slight cool, tingling sensation), but provides your lips with vitamins A and E to keep them soft and hydrated. No shimmer or sparkle to be found in this gloss, which makes for a nice, clean finish to a smoky-eye or dramatic eye makeup look. For me, finding the perfect pair of jeans can seem next to impossible. They’re either too short, too long, not the right shade of blue, don’t fit my waist properly, or most annoyingly: too low. Luckily, more and more stores are offering higher-rise versions of their jeans, including American Eagle. For these jeans, it was love at first try-on. They are stretchy like a legging, a rich indigo blue that matches nearly everything (and have no feathering or pre-purchase rips), and are the perfect rise (just below the belly button). I also love that they are skinnies, so they can be worn with heels or tucked into boots. Interested? American Eagle always has great sales on, so be sure to follow them via email for updates on current promotions (up to 40% off and free shipping). This fun set creates endless nail-art opportunities. It includes 3 vials of studs (black, silver/metal, and clear), and also includes a handy nail-art pick up tool. No glue necessary, simply apply the studs when polish becomes tacky (approximately 30 seconds after polishing), and then cover with a top coat. 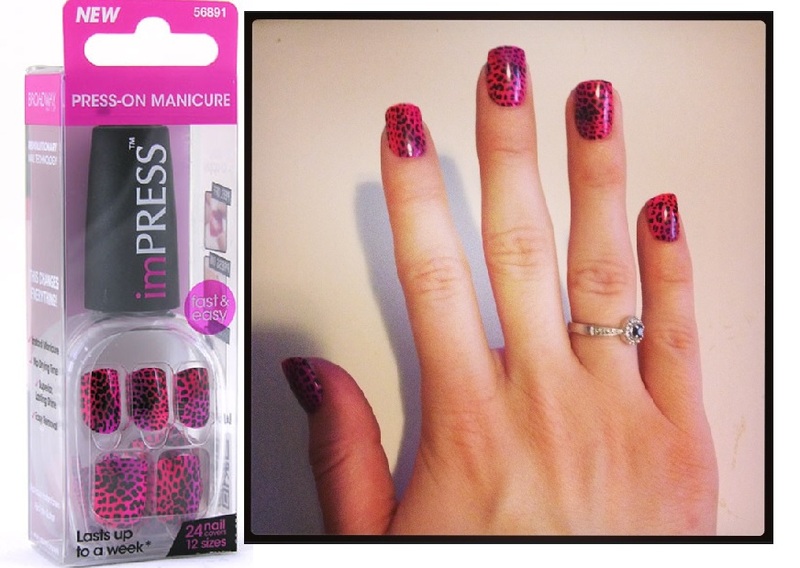 This set is extremely affordable and can make a plain polish seem that much more exciting (accent nail, anyone?). 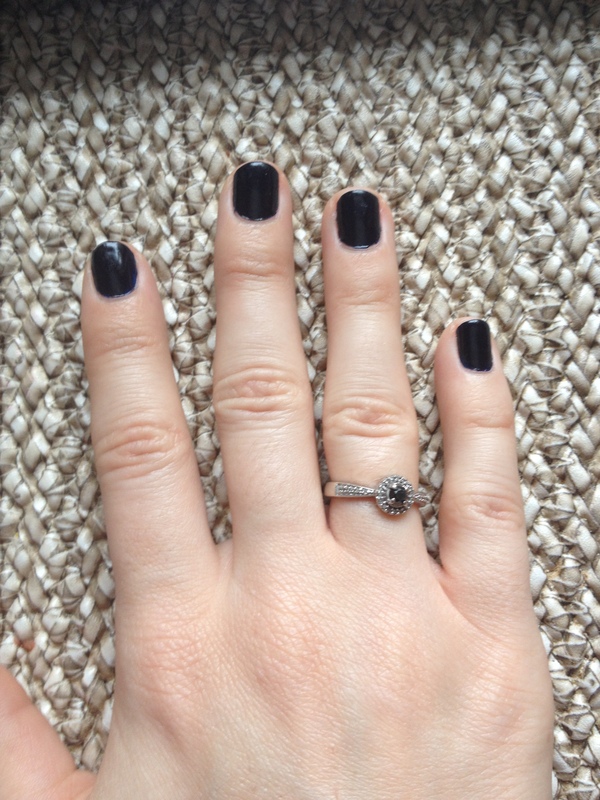 Review: Gel Nails For Less! 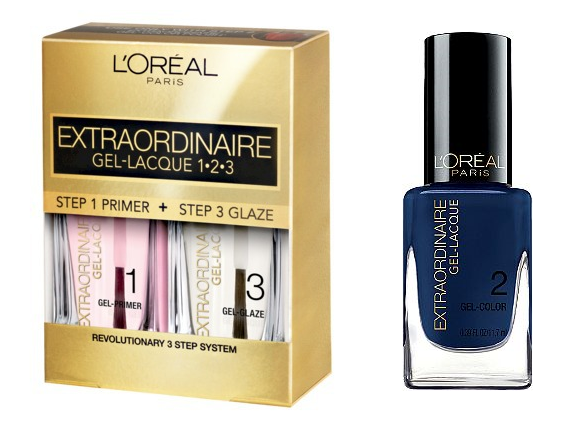 On a recent trip to Wal-Mart, I saw a display for the new L’Oreal Extraordinaire Gel-Lacque 1-2-3 nail polish system. Basically, you purchase the gel primer (base coat) and gel glaze (top coat) as a set (I got mine for $9.99) and then choose your own colour (which you purchase separately, around $5.00-$7.00). 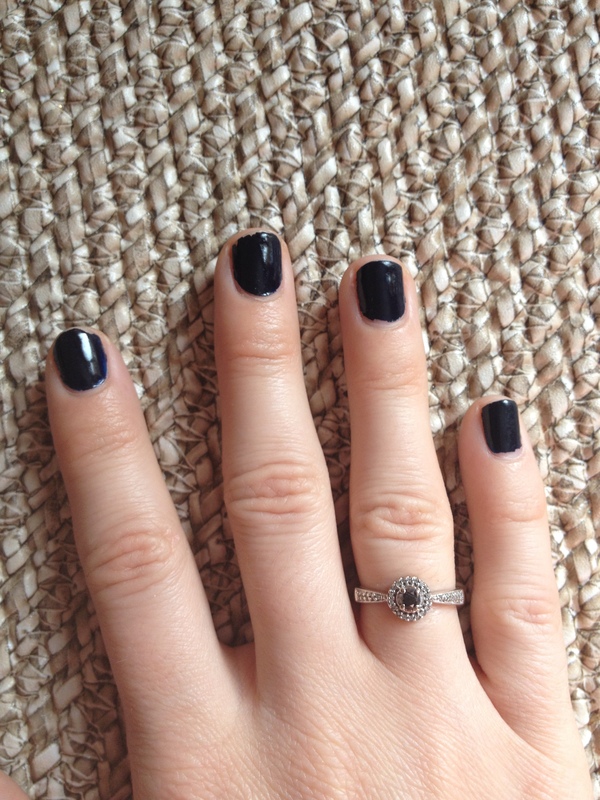 I decided on a dark, navy blue colour called “Don’t Shy Away”. According to L’Oreal’s website, “New L’Oréal Paris Extraordinaire Gel-Lacque provides high-gloss, and resilient shine while protecting nail color from dings, dents and scratches. Get the high-shine of a UV-Gel and the perfect nail shape without harmful UV rays.” I was bit skeptical, but figured I’d give it a try. The gel primer applied easily, and dried quickly (you only need one coat). I then applied 2 coats of the gel colour, which proved to be a little trickier (but nothing unmanageable). The consistency of the coloured polish is much thicker than a normal polish, and I found that you need to dip the brush in the polish more often (once per fingernail). The colour is extremely pigmented: after applying one coat, you can’t imagine needing to apply another (though you should). I found it was really important to let the coloured polish dry prior to applying the gel glaze. I say this because the polish is so pigmented, I found it smeared a bit and dyed the brush applicator of the gel glaze. I did find that total drying time was very reasonable, and the finish was glossy, rich, and definitely looked professional (after I cleaned up the edges with nail polish remover of course!). Below is a picture of my nails on day 4. At this point, I’ve put these nails through cooking, fitness classes, typing, pretty much anything. And, minus a few tiny chips around the ends of my nails, these babies are still looking freshly manicured. Next, is a picture at day 6. At this point, normal nail polish on my nails would be extremely chipped and un-wearable. Impressively, minus a few minor chips here and there, they are still completely wearable and could easily make it to the 1 week mark! Would I repurchase this set, or recommend it? Definitely. This is one of the most effective, reasonably priced gel-nail sets I’ve seen. It lives up to its promises and even comes in a full collection of colours, so you’ll have an option for every mood or outfit. Next up, I’m thinking of trying “Diamond in the Buff”, a gorgeous peachy-pink colour, just in time for Valetine’s Day! What’s even better about these polishes? They remove easily with regular nail polish remover!